Laos’ economic growth outlook stable for 2019, 2020 (04/04/2019-14:42:00 PM) Economic growth in Laos is expected to remain stable in 2019 and 2020 – backed by the expansion of the agriculture, energy, industry, and service sectors – according to the Vientiane Times’ quoting of the latest report of the Asian Development Bank (ADB) on April 4. Laos’ exports expected to continue rising in 2019 (21/12/2018-10:46:00 AM) The Lao Ministry of Industry and Commerce expects the country’s exports to continue growing next year despite the challenges faced in achieving this year's target. 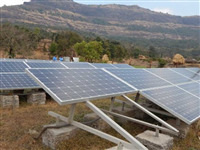 Lao government advised to boost renewable energy investment (18/07/2018-09:52:00 AM) The Lao government has been advised to invest in renewable energy, as the country holds great potential to develop environmentally-friendly power. 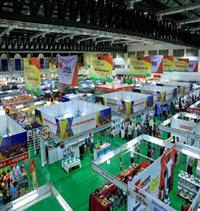 Laos, VN trade fair opens in Vientiane (05/07/2018-15:30:00 PM) The 2018 Viet Nam-Laos Trade Fair businesses are taking part in Vientiane to promote the bilateral friendship, cooperation, and development. The 40th meeting of Vietnam – Laos Intergovernmental Committee on bilateral cooperation (12/02/2018-14:49:00 PM) (MPI) - On February 5th, 2018, the 40th meeting of the Vietnam- Laos Intergovernmental Committee on bilateral cooperation between the two countries was held in Vientiane, Laos. Prime Minister of the Socialist Republic of Vietnam Nguyen Xuan Phuc and Prime Minister of the Lao People's Democratic Republic Thongloun Sisoulith co-chaired the meeting.